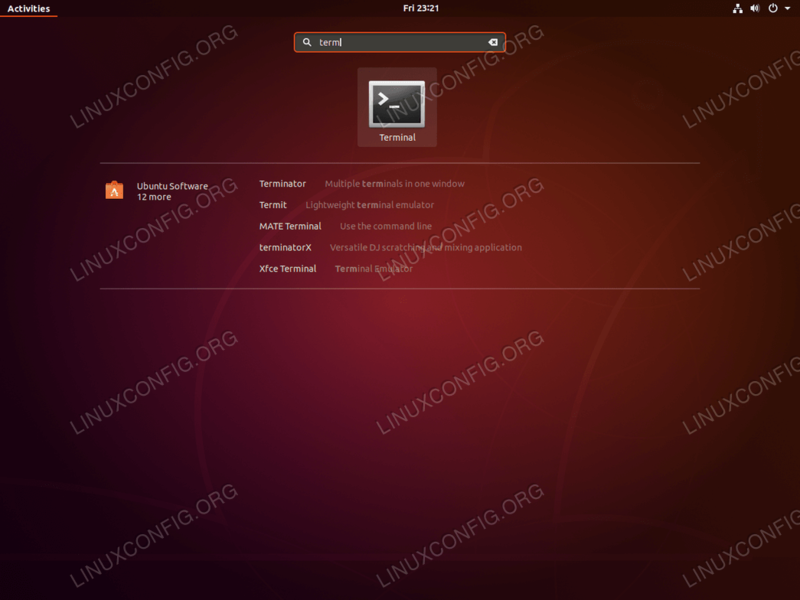 There are more than one way how to open the terminal on Ubuntu Bionic Beaver 18.04 Linux. This short article will list the most common. This article assumes that you are using the default GNOME desktop manager. Click on Activities located on the left top corner. Using search type terminal. Once the terminal icon appears simply left-click on it to open terminal on Ubuntu. Search for keyword term and then click to open new terminal session. 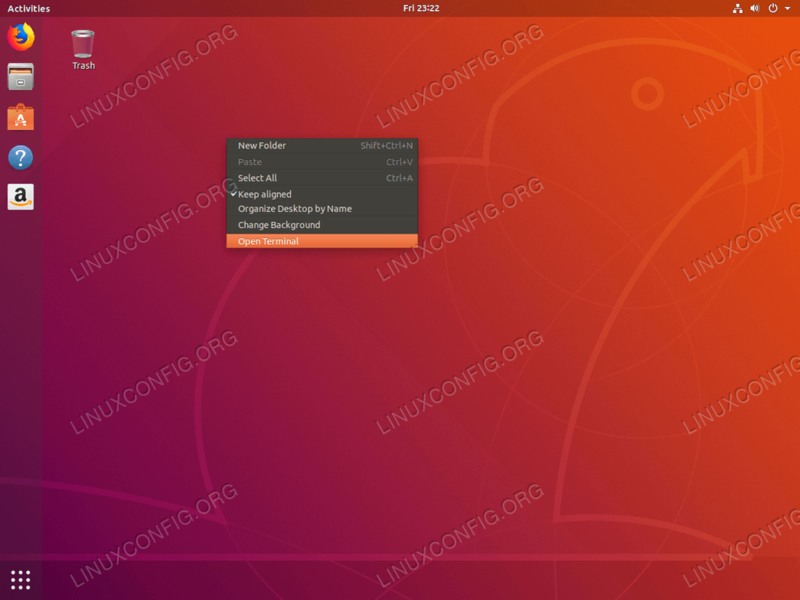 Another easy way how to open Terminal on Ubuntu Bionic Beaver 18.04 Linux is to right mouse click on the desktop and choose Open Terminal from the menu. Right Clink on the desktop and select Open Terminal. Using the ALT+F2 shortcut open a dialog window which allow you to run commands. Enter the gnome-terminal command and hit ENTER.